"Developing childrens well being, self confidence and life skills through the medium of sport & PE". 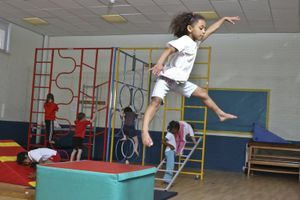 Our PE Curriculum support offers schools professional, reliable and varied programs to suit your needs which is child-centred, ensuring each child receives the best possible safe & creative learning environment. Our packages are only designed with your school, teachers and children in mind and therefore confident that we will match your expectations and every need. We also offer schools an alternative away from the curriculum where children simply partake in structured, fun, all inclusive fun games allowing them to explore unusual sports, competitive interaction or engage in healthy, social interaction with fellow pupils. We are confident that you can find the professional support you’re looking for with Dave Earnden Coaching at affordable prices for your school. If there is anything else you require or if you have any questions regarding our curriculum work then fill out the form below and we will be happy to give you all the information you need.